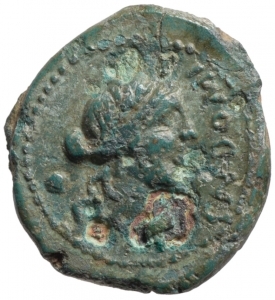 Type: Head of Apollo, right; hair tied with band; before, inscription upwards; behind, denominational mark. Type: Lyre; above and blow, inscription. Röm. Republik: Gn. 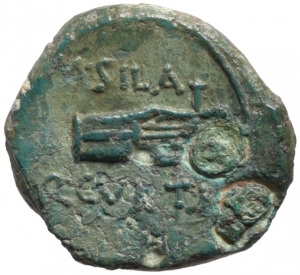 Domitius, Q. Curtius, M. Silanus, 116–115 v. Chr.